Q: Is holding an existing self-directed IRA a possible financial source for building my retirement home? A: If your question is, can I use cash in my self-directed IRA to build a home that will be owned by my IRA? The answer is yes. Eventually the home may be distributed and be used as a home for retirement. Depending on what type of IRA the home is under, it will determine the taxation of the distribution. Traditional IRAs are taxable and Roth IRAs are potentially tax-free. Q: Can I contribute equity cash directly to pay a part of the real estate purchase price? A: If you wish to purchase a property using your IRA assets, only assets inside an IRA may be used to purchase the property. Q: If a Traditional IRA held property has a non-recourse loan, and I want to "distribute" the property in-kind, is the taxable amount (1) the gross property value? or (2) the net value i.e. gross value less the loan amount? A: The taxable amount on a property held under an IRA that is leveraged will be the net amount. Example: A property purchased worth, $200,000. The IRA paid for $100,000 and other $100,000 was through a loan. If the property is distributed in-kind, the net value of the property (less then the loan) will be taxable. The taxable amount will be the basis of the property. If the property is sold outside after the distribution, the loan will need to be paid back and the growth above the basis will be taxed as capital gains (long or short term). Q: Can I place a Roth IRA or any self-directed IRA account into a Land Trust to protect an individual pension plan account from a law suit? A: An IRA cannot be placed in a Land Trust since "I" in IRA stands for individual. 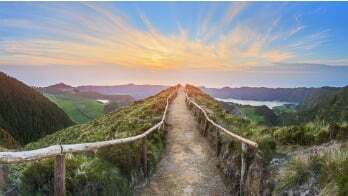 However, if your question is can an IRA invest in a Land Trust, the IRA can, as long as the Land Trust is not a disqualified party under the prohibited transaction rules. Q: Can I partner with my solo 401K IRA on a trust deed investment? A: You may be able to. Keep in mind that after the purchase occurs, income and expenses must be allocated proportionately. Q: If my investment property is held till age 71, can the cash in the account be distributed as a Required Minimum Distribution (RMD)? A: Cash in the IRA can be distributed to satisfy your RMD. The RMD can also be satisfied by distributing from another IRA as a second option. Q: Am I allowed to mow the yard or repair something on my investment house? I am not looking to get paid for the work. A: I would refrain from performing services to an investment held under your IRA. It would be considered a prohibited transaction. Not getting paid could be viewed as self-benefiting since the IRA would have had to pay for the services otherwise. Q: Can I transfer real estate I already own into an IRA as long as I don't continue to live in it? A: No. Contributions to an IRA are subject to limits and contributions can only be made in cash. Q: What if I have only 50% of the money in my IRA, can I still purchase with other money? A: There are other means of making up the deficit. A couple alternative options can include, partnering with another party or getting a non-recourse loan. Q: Can my Roth own 1/2 of the property and another entity that I control, own the other half of the property? A: This is only if you control an entity that could be considered a disqualified party. I would recommend you consulting with your tax or legal advisor before entering into this transaction. Have them review IRC 4975 of the Internal Revenue Code. Q: Am I allowed to advertise, and find a tenant myself instead of hiring a property manager for my rental property owed by my traditional IRA? A: Yes. Keep in mind IRA investment expenses must be paid from your IRA. 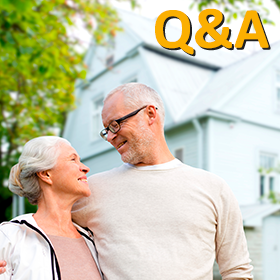 We thank everyone for their great questions, and we encourage our readers to post any additional questions regarding purchasing your future retirement home, or Real Estate IRAs, in the comments section below so other readers may benefit from the answers. Please visit our online Learning Center for additional resources about retirement investments.